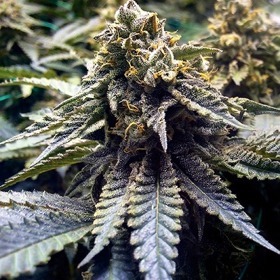 Chemdog officially available from the green house seed company - extremely strong producing up to 800gr/m2 in 9 weeks- check this OG Kush X Sour Diesel cross out! 22% THC & 1 Kilo Each In Greenhouse! Chemdog Millionaire is a priceless cannabis gem inside or out, but she reaches her true potential of 1 Kilo/seed inside a greenhouse. Highs are strong, long-lasting & multi-dimensional. 8 to 9 Week Finishes Inside - Packed with Flavour! Get Lit with Cherry Bomb Feminized! True firecrackers, Cherry Bomb Feminized practically explodes with power! 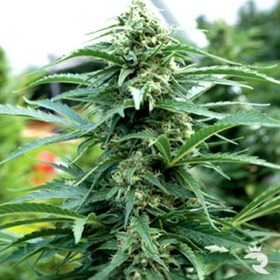 These hard-hitting cannabis seeds easily reach the 22% mark. Boom! Boom! Pow! You'll Never Forget Your First Cherry Bomb! 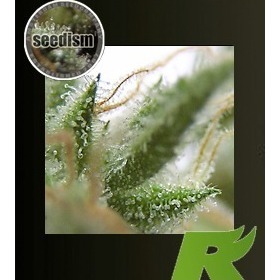 The Terpenes are Strong in This Killer Weed Seed! Coated in a thick layer of terpene-infused resin, Cherry Moon Pie tastes & smells like a super-stoned version of your favourite fruit-filled dessert. She's tasty, she smells great & she'll most definitely satisfy all your cravings! Cherry OG Feminized Really Hits the Spot! If you're looking for flavour, you've found it! Cherry OG Feminized ranges from ultra-sweet cherry to tangy sour diesel, but they're all good. No matter what pheno you get from this F1, it'll be a keeper. Cherry Thai X Lost Coast OG - Delicious! 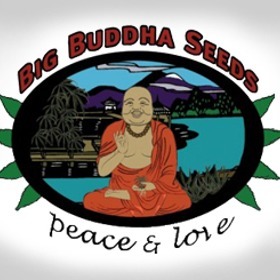 Get authentic Chiesel flavour & power in just 75 days with Big Buddha's new fully automatic seed. The smell is intense, the flavour is spicy & the strength is turbo charged! Black Domina Potency with Critical Mass Bulk! Dr Krippling's Choc-Matic Auto pairs the legendary power of Black Domina with Critical Mass's astonishing yields for the perfect, chocolate-flavoured combination! Chocolope & UK Cheese come together to create a beginner-friendly weed seed that's favoured by all-day tokers. Expect creeping power & amazing flavour. A Guilty Pleasure Minus the Guilt! No need to feel guilty about enjoying some dark, gooey Chocolate goodness with this strain. They're calorie free - unless you get a massive case of the munchies! Chocolate Orange Auto is a must-have! In just 60 days, this baby can go all the way to 450 gr/m2 featuring a smooth creamy flavour with a zing of orange zest. Very High Quality - Stunning! If you're not careful, Chocoloco will go completely insane & fill every nick & cranny of your room. This is a high yielder, my friend, with even higher power. Get'cha some! Do you crave ooey, gooey, chocolate? Chocolope Feminized will satisfy your weed tooth with a single whiff! For a taste you won’t believe, you have to try Chocolope Feminized!